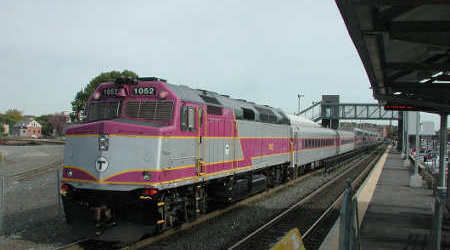 The agency is reporting ridership growth on its light- and commuter-rail systems. Sound Transit's Link light-rail line served more than 6.6 million riders during the third quarter, marking a 6.9 percent increase over the same period last year. The line's average weekday boardings grew 8.2 percent to 81,022, according to Sound Transit's third-quarter 2018 ridership report. Agency officials attributed the ridership growth to an increase in special events in downtown Seattle. In addition, ridership on the Sounder commuter-rail system edged up 2.5 percent to 1,121,197 boardings. Average weekday boardings also increased 2.3 percent, mainly driven by ridership increases on the Sounder South Line. 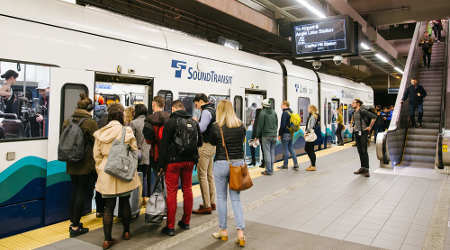 In September 2017, Sound Transit added two new round trips on the South Line. 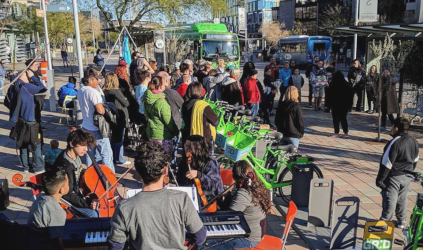 Meanwhile, ridership on the Tacoma Link streetcar line plummeted 15.4 percent to 189,350 boardings. The ridership drop could be attributed to fewer events in downtown Tacoma, Washington, along with the temporary closure of 200 parking stalls at the Tacoma Dome Station for renovation work that started in June, agency officials said. Total ridership on Sound Transit's rail, bus and paratransit systems grew 2.8 percent to 12,675,338 boardings. Systemwide average weekday boardings also inched up 2.6 percent compared to the same period in 2017.